Out with the old, boring kitchen colors and in with the new, vibrant tones! 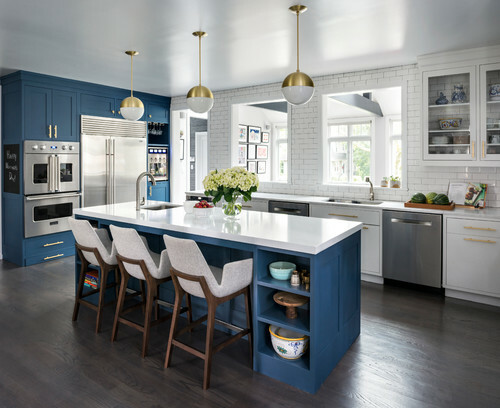 Blue Door Painting wants to upgrade your kitchen with these interesting and on-trend color options. This luxurious shade pops perfectly against vibrant metals or when paired with bright counters or trim. This versatile neutral would work nicely with most palettes. Subtlety is key with this delicate option. Hazy Skies evokes a misty, soft feel in any room that reminds us of lazy Sundays in summertime. 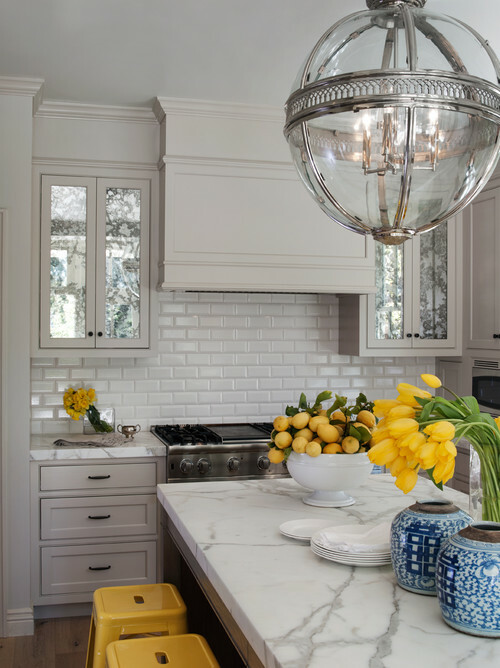 A seemly unorthodox choice, this version of greige can accentuate other colors or pair well as the featured shade against bright white cabinets or counters. You can’t go wrong with off-white! This color is a part of the Benjamin Moore Off-White Collection, and looks amazing against a range of tiles, granites and beautiful backsplashes. 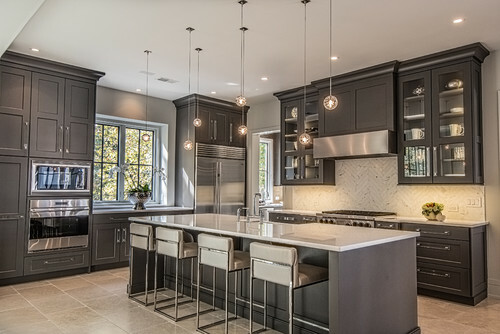 Dark moody blues are showing up more and more in kitchen designs and we are in love with these saturated rich colors. This shade has deep blue undertones and is a wonderful way to create a dramatic and chic look with your cabinets. This blue will pair well with white or grey cabinets for a fresh look. 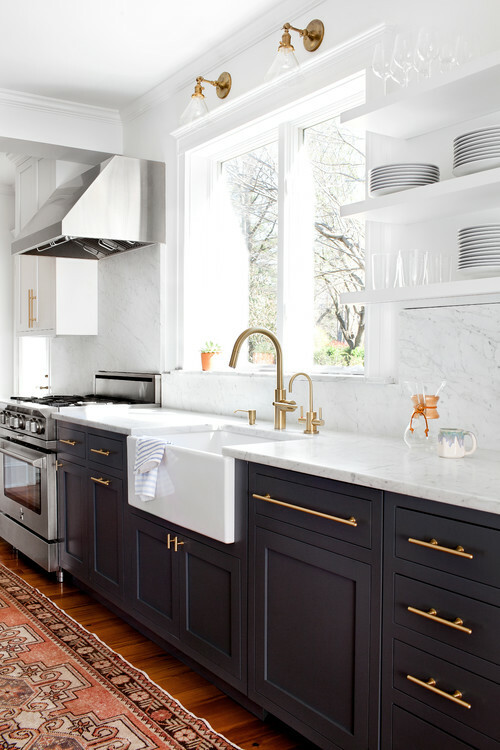 A white marble countertop with grey veining would be the perfect finishing touch. 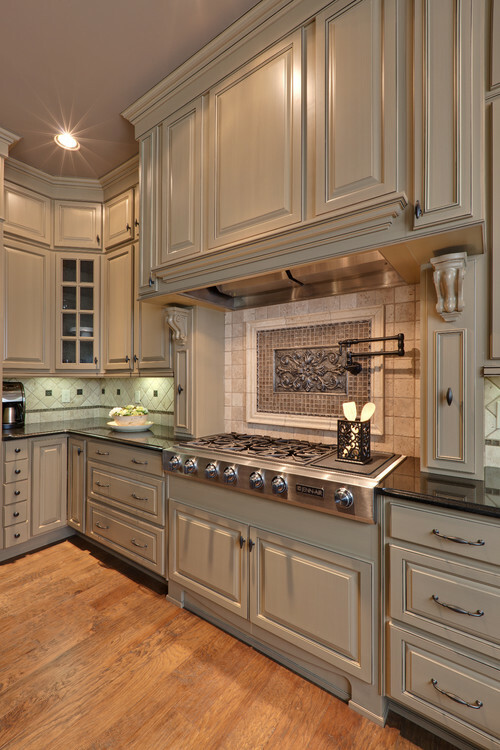 For a contrasted look, paint lower cabinets blue and uppers in white or a light grey. Another blue that would work well is Downpour Blue 2063-20. We absolutely love the patterned tile to accompany this bold choice. Some other color options to give the same dramatic effect include: Green Bay and Hunt Club. This color inspo is brought to you by Blue Door Painting’s design partner, Jasmin Reese Interiors. Looking for design ideas? Contact Jasmin and her team for an unparalleled professional opinion. If you’ve already found your dream cabinet color and want to get started, contact us today for a FREE estimate so we can help you create the home of your dreams. Follow us on Instagram for daily inspirations and read our 5 STAR reviews on Yelp, Angie’s List or Houzz.